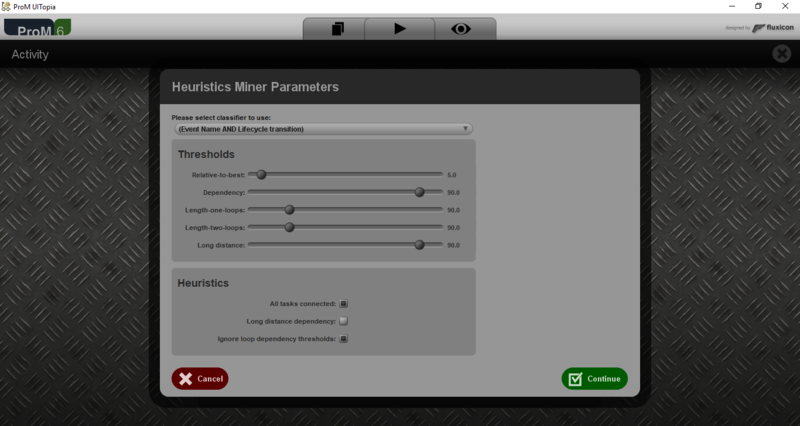 Hi everybody, I would like to know the meaning of each parameters in the screen below, since the process model obtained with the Heuristic Miner will depends on this parameters setting. Thank you in advance. Please check the documents at https://svn.win.tue.nl/repos/prom/Documentation/UsersGuideHeuristicsMiner6.0/, which includes manuals for this plugin.